We love playing cooperative games in our family. We think it’s helpful to be able to share our strategies and logic with the little ones. And playing cooperatively with a common mission is a great way to introduce children to the whole point of playing board games - to have fun. If you have very young brothers and sisters in your family, you’re likely also aware that cooperative games are a great way to include your little Godzillas in the festivities by taking your turns together. We started playing many of the games on this list when our 5-year-old son was 3. Some games didn’t make the list because they didn’t have staying power for our son, and would be better suited on a list for 2-3 year olds. On the other hand, there are some cooperative games we have that are still a little too complicated to recommend for most 5-year-olds. Other games were left off because they were never interesting enough for us parents. Part of our criteria for a list like this is that everybody enjoys playing - young and old. We’ve played a very good deal of cooperative family board games, and over time our favorites have been made abundantly clear. 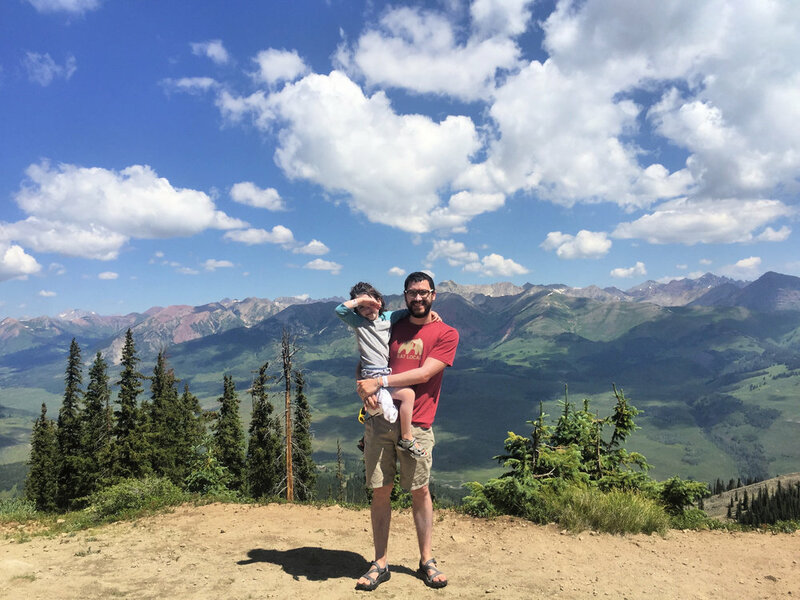 Obviously it’s easy for me to rank them by how much I enjoy playing them, but we are also taking into consideration how much our son loves them. I could have made an educated guess on how he feels based on how often he asks to replay them, but, even better, we put him entirely in charge of ranking this list from 1 to 5. These are our top 5 cooperative board games through this point in our son’s life. He’s almost 6 now and he still loves to play all of them today - and so do we. Disclosure: Some of the links in this post are affiliate links. The links of game titles and images will lead you to view the games’ listings on Amazon.com. I really love the theme of this game. Young treasure hunters are trying to find all of the treasure in a haunted house before they’re overrun by the ghosts inside. As you play the rooms fill up with more and more ghosts. Three ghosts in a single room and it’s considered haunted. If six rooms are haunted before you escape with all of the treasure, you all lose. There is a lot of fun strategy in this game as you have to choose to stick together or separate, and fight the ghosts or run back to the door with your treasure. The ghost pieces, the dice, and the game board are really fantastic quality, and they really add to the cool, spooky atmosphere. It’s actually quite challenging for us to win, and that’s even without the added challenges the game offers if you need them. Even though the game is officially recommended for 8+, our 5-year-old has absolutely no trouble at all. And the great thing is, this might be the one game on this list I can see us playing forever. 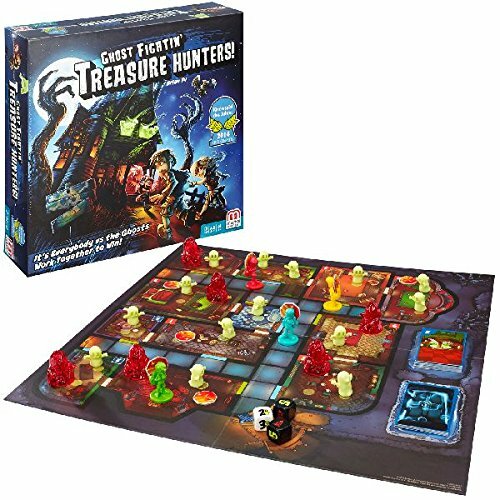 Read our full recommendation for Ghost Fightin’ Treasure Hunters here. An evil wizard has cast a spell to destroy the kingdom, and only we have the power to create a potion that will break the spell. In order to win you have to work together to get the right ingredients into the cauldron before the evil wizard blocks all of the paths. 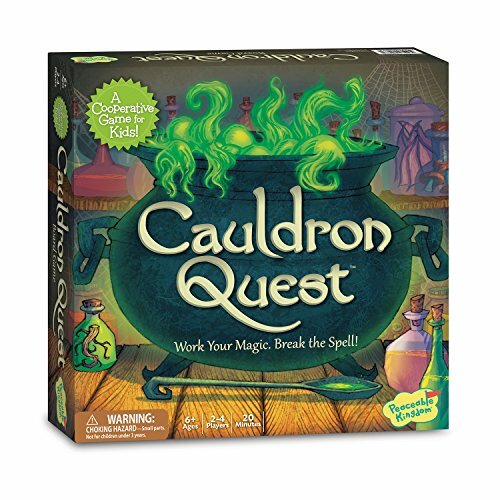 Cauldron Quest is another family favorite that really sells itself with a great theme. During each player’s turn they either get to move an ingredient, move the wizard’s hat, or roll the magic dice. Choosing what to do with the magic dice involves a good amount of strategy to talk about with your kids, but most often it’s a good idea to reveal the mystery ingredients. Rotten egg, poison mushroom, horned toad, eye of newt, dandelion root, and bat wing - every time you play there’s a new combination of these ingredients that make the winning potion to save the kingdom. 3. Race to the Treasure! It’s no surprise that the publisher Peaceable Kingdom has two games on our list. They specialize in cooperative board games for kids and they’re certainly a family favorite. For the rest of my life I’ll remember Race to the Treasure as one of my first memories of gaming with our son. When he was just about three he could play this game with us with very little help required for strategy at all. But he was absolutely terrified of drawing the cards because of the Ogre. It was adorable how he would peek at the cards and ask us to draw them for him - and how visibly and audibly relieved he would be if he drew a path card. Together you must draw path cards to retrieve three keys and reach the treasure before the Ogre. If the Ogre gets there first, everybody loses. One random educational bonus to this game is that the game board is set up with algebraic notation like a chessboard, and you actually roll the dice in the beginning to place the keys on the board - A2, C4, D1, etc. This will always be a special game for us and I’m very excited that our littlest is almost 3 and about ready to play it with the whole family. Read our full recommendation for Race to the Treasure here. 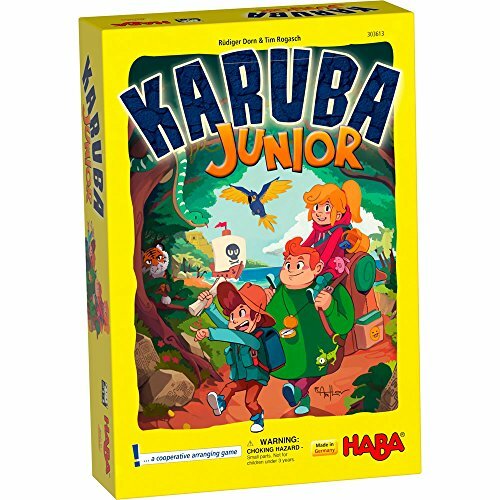 I am enormously impressed with the quality of the wooden pieces inside Karuba Junior by HABA. It’s not lost on me how much of a difference that can make. When you’re role playing with kids, fleshing out the game world and adding vibrant life to the game is crucial for the imagination. This time we’re on a search for treasure in the jungle on the island of Karuba. Much like Race to the Treasure, you’re drawing cards that could be path cards or, this time, a pirate ship card. If the pirates reach the island before you find the three buried treasure chests, everyone loses. Some of the cards also have tigers that will block one of your paths, and three of the cards have the treasure you’re looking for. If you find all three treasure chests and still have open paths to place them on, everybody wins! It’s a truly beautiful game that’s fun for all of us, and it had our littlest worriedly peeking under the cards for a pirate ship like our son used to do for the Ogre. 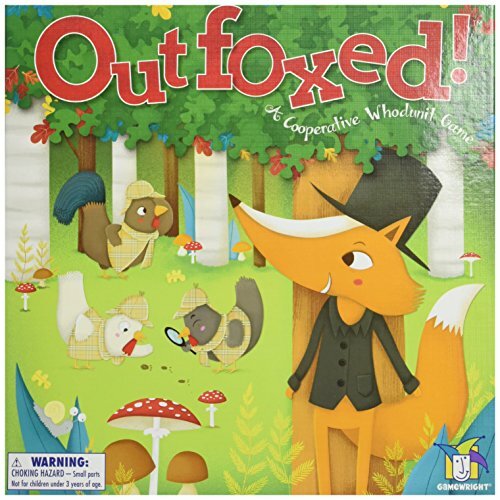 Our son is adamant that Outfoxed! is his favorite game right now. Not favorite cooperative game, favorite board game period. Just today he asked to play it five times in a row. One of the many foxes in this game stole a pot pie, and it’s up to us to figure out the culprit. On your turn you must announce whether you want to gather clues or reveal new suspects - but then you must successfully roll the dice to do what you want. If you fail, the thief creeps closer to escaping. If you succeed, you either get a new clue about who the culprit is, or you get to turn over two new suspect cards. Once you successfully guess the thief’s name or eliminate all of the suspects but 1, you win! Let the thief escape before then and you lose. It’s very clear that our son is crazy about this game because of the inventive, secret way that the clues are revealed. At the beginning of the game, the card with the thief on it is secretly slipped into a contraption. When you draw a clue you hold it against the contraption to reveal whether the thief is wearing that article of clothing. After receiving the clue, you can then eliminate the appropriate suspects. Our son absolutely loves this. Even if strategy clearly dictates that “revealing new suspects” is the best idea, you can tell he really wants to pick “gather clues”. At the end of the day, that excitement he’s feeling is what it’s all about. Does your family play any cooperative board games together? We’re always looking for new games to play! Please let us know all of your favorites in the comments.